With streets lined with picturesque Florida homes, upscale dining, and locally-owned shops, Winter Park is an ideal place to live. However, the affluent suburb of Orlando is not immune to rat infestations, and the mere mention of one can drive down property values. 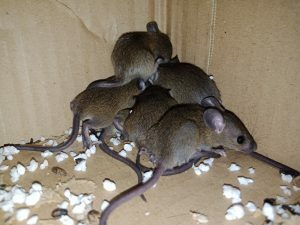 At Critter Control® of Orlando, our exterminators quickly and discreetly solve wildlife infestations in the most non-intrusive and effective ways possible. Often times a rat infestation is so severe that it warrants extermination efforts. While extermination is always our last resort, we practice the most humane, safe, and eco-friendly methods possible. And once all the rats are eliminated from your property, our experienced technicians will repair any damage they caused and seal off access points to keep them from returning. If you think you have rats in your Winter Park home or business, rely on Critter Control® of Orlando to permanently solve the problem. Call us today at 407-295-7194 to schedule your free home consultation.